Lobster and Rosé, a strong lunch game, non? After the hearty and full on chatty lunch, we hit Jolly's ready for the Jaeger style challenge..So much fun..It's like playing dress up with the dream wardrobe. Gaby nailing the Safari style with the most incredible trench dress (here) and wide tan belt (here). I died and went to double D heaven!! This is actually jeans and a shirt but, doubles perfectly to look like the super desirable boiler suit too! I absolutely LOVE this look!! 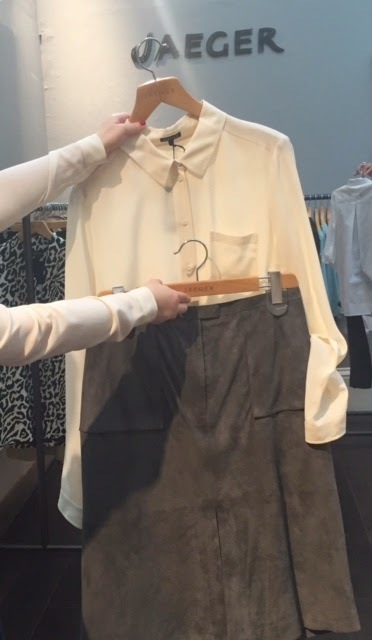 This blouse is the perfect staple item and be still my beating heart, this suede skirt is in.cred.i.ble!! Could this dress be easier to wear.. Perfect for occasions or, with sandals in the Summer - buy here. Layer it or belt it, perfect! Just because, I love this dress...Work/Casual and Drinks = Perfection! Wool silk petal dress - buy here Belt/Bag/Scarf - as above. 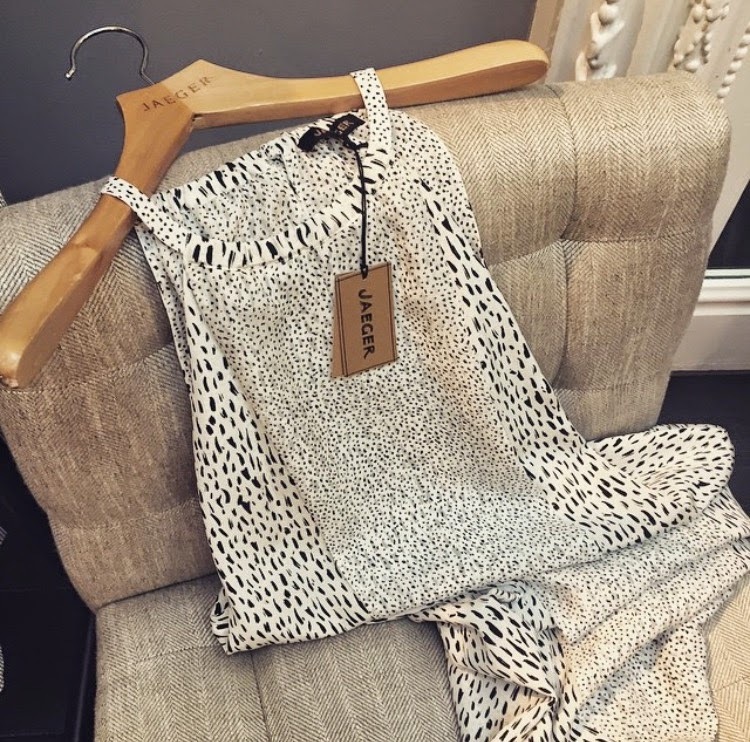 So there's a showcase of some of the styling on the day...Come back tomorrow to see what was in the goodie bags and also my selection of the must-haves from the Jaeger collection! Gorgeous Karen, looks like brilliant fun. Love the double D, am a bit of fan.